Here are some dramatic images from a recent project which has won the Best Out Of London Home category at the Evening Standard Awards, narrowly missing the overall prize by coming runner-up for Best Luxury Home. 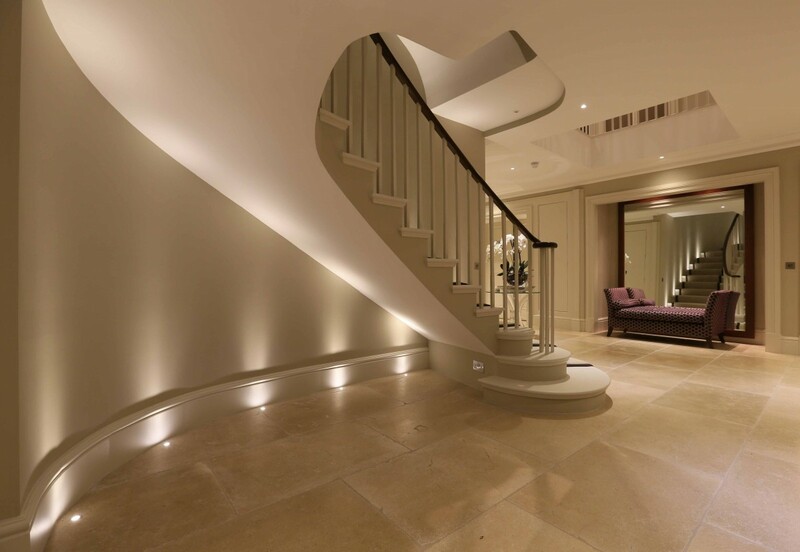 The lighting design played a key role in adding the “wow” factor to this project, making it a versatile atmospheric home. 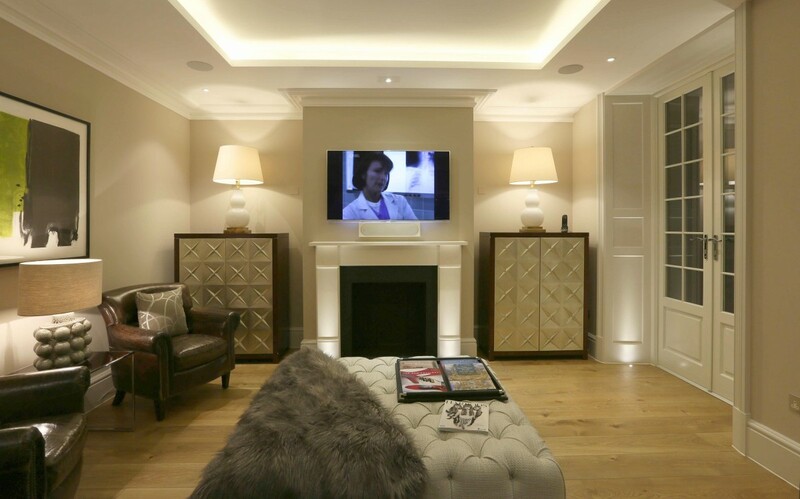 1w LED Luccas uplight the fire surround and shutter box, whilst Polespring LED downlights light artwork and Contour LED lights the coffer above. 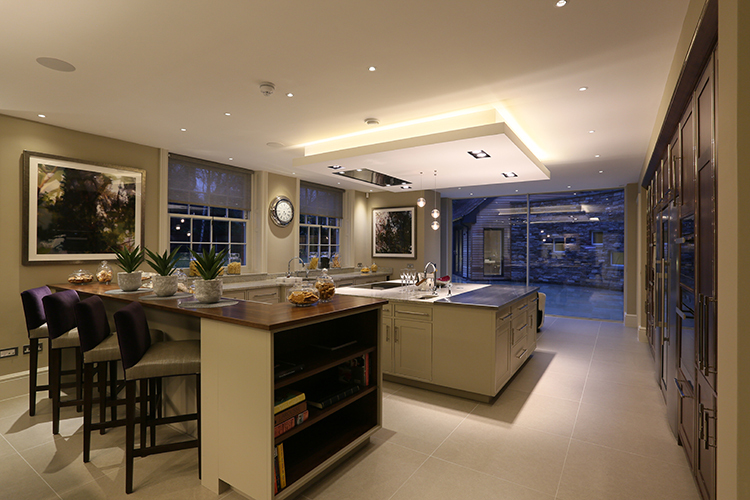 A combination of Polespring LEDs and Square Doubles provide the task and accent lighting and Contour LED around the dropped ceiling provides general infill light. 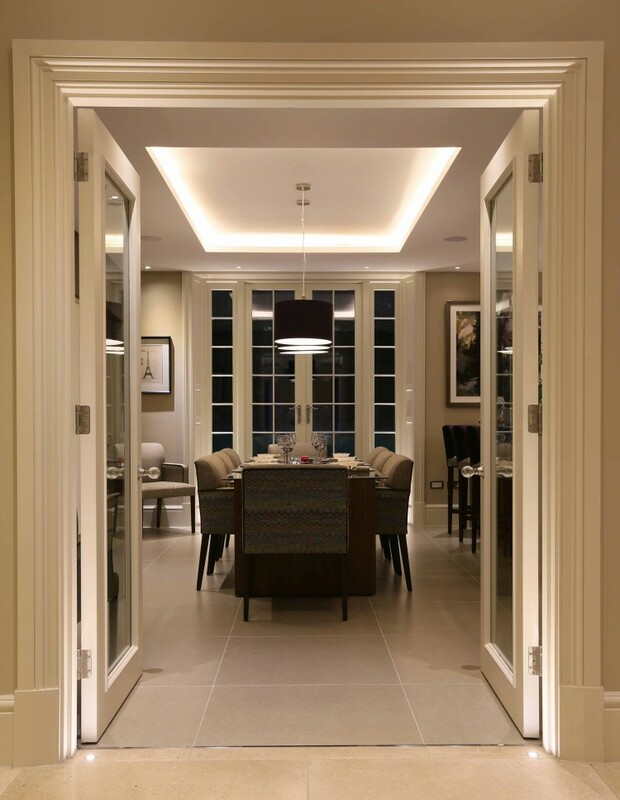 LED Luccas uplight the door frame……. and uplight the shutter box enhancing this feature at night. 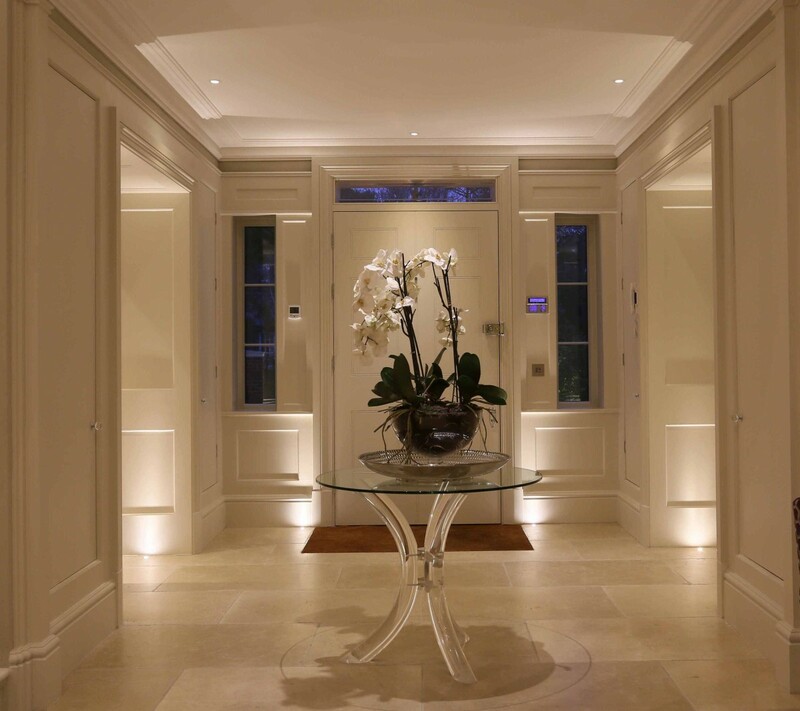 A feature is made of the flowers with Polespring LEDs and the panelling is emphasised with Luccas creating a dramatic entrance hall. 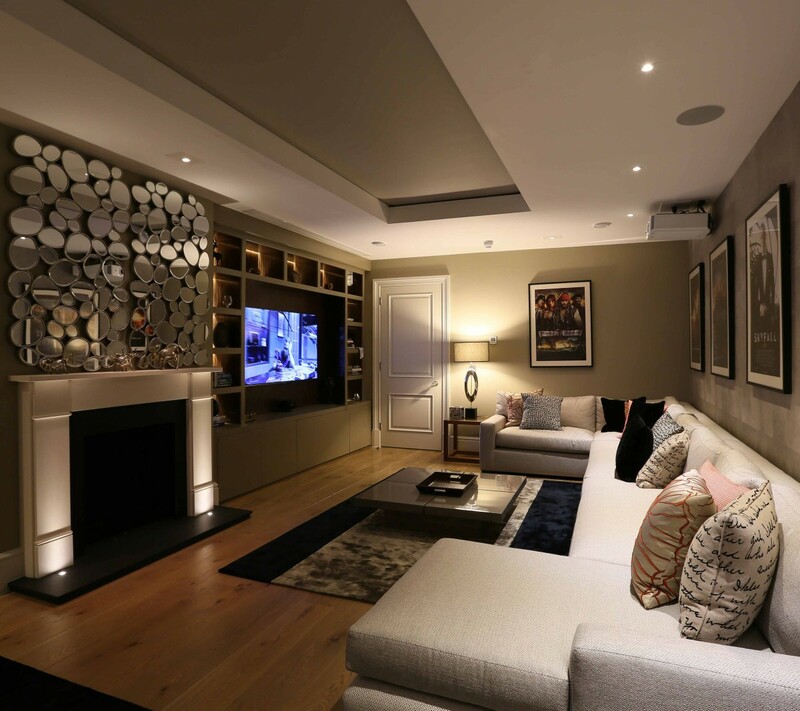 For the media room, the shelves contain Contour LED integrated into the joinery, whilst Polespring LED downlights light the artwork and Luccas uplight the fire surround. Polespring LEDs emphasise the blind and mannequin reflecting light off the mirrored bedside table. Here Polespring LEDs light up the artwork above the bed and the blinds beyond. 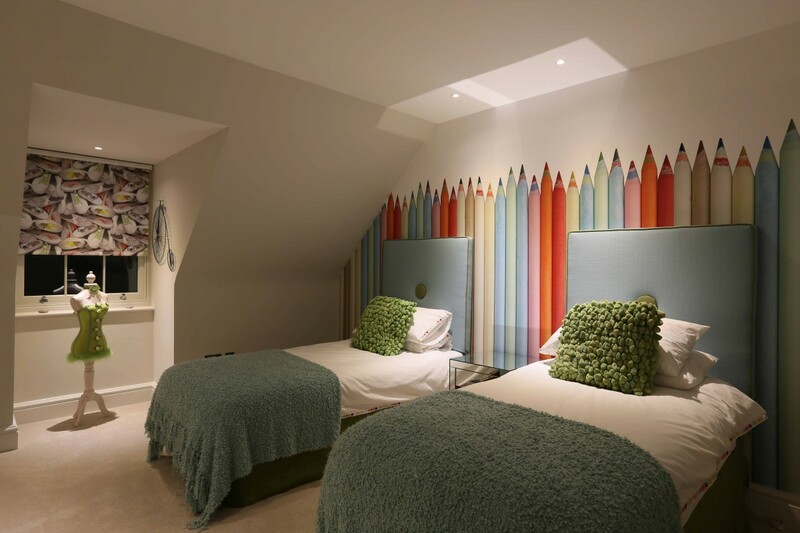 We offer both a One Room Design Service for those looking to just update one room or a Full Design Service for any number of rooms and the garden. 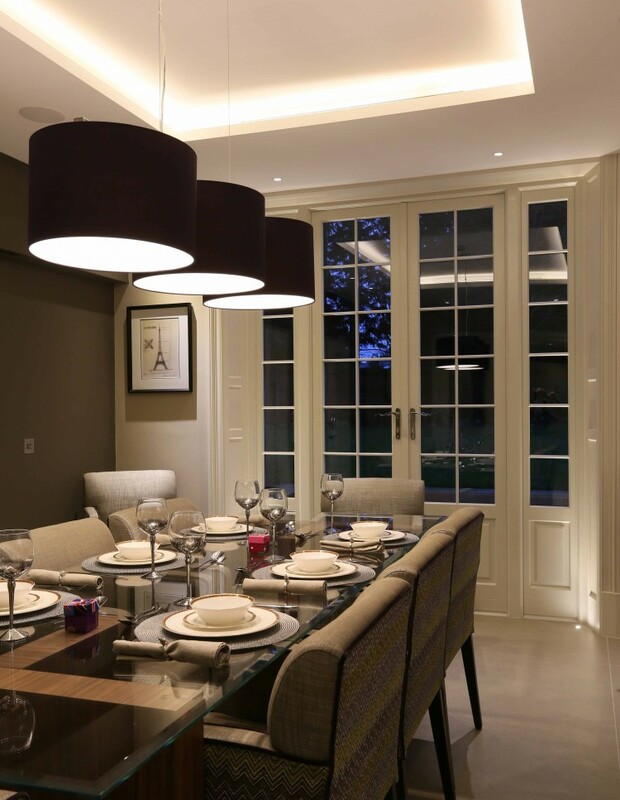 To create your award winning project, book an appointment with one of our designers by calling 020 7371 5400.